Every business needs a strong network in order to contact clients and receive data in a timely manner. For this reason, network engineers are always in demand. If you want to jump into this IT niche, the Foundational Cisco CCNA Security Bundle would be a good starting point. The bundle includes 53 hours of training, working towards official Cisco exams. You can grab it now for $29 via the XDA Developers Depot. Cisco is one of the biggest suppliers of networking equipment around the world, particularly at the enterprise level. This tech giant also sponsors IT certifications, which are invaluable for aspiring engineers. 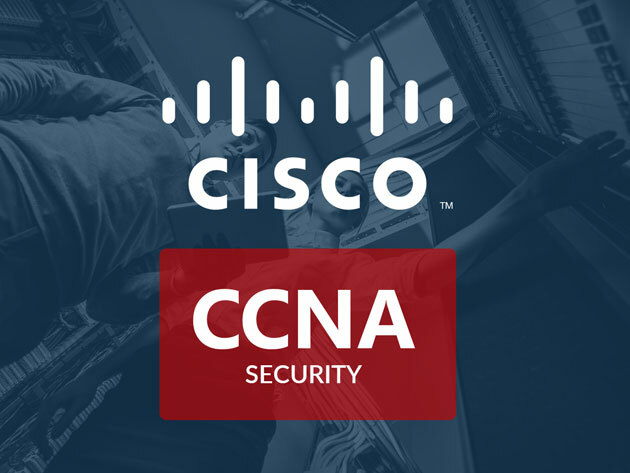 This bundle prepares you to pass Cisco’s CCNA certification exams with flying colors. Through engaging video tutorials, you learn how to install, configure, and operate IPv4 and IPv6 networks. You also discover how to set up routers, manage network devices, and spot basic security threats. The second course adds to your knowledge with advanced techniques, such as VLAN trunking, dynamic routing protocols, and IP troubleshooting. The final course tackles network security, with lessons showing you how to deploy a basic firewall. Each course comes with a certificate of completion, and you get all the prep you need to sit for the Cisco exams. This training is worth $897, but you can grab the bundle now for just $29.